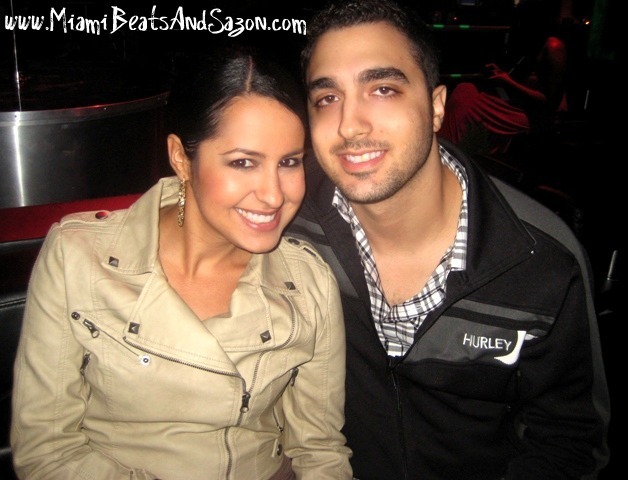 MBS: What inspired you to start Diamond Doll Foundation? 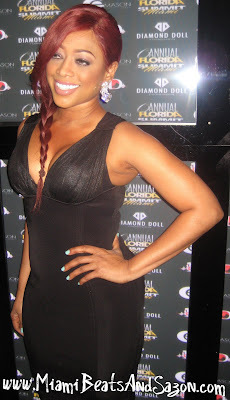 Trina: Diamond Doll Foundation was inspired by my passion for helping the youth and inner city girls. The goal is to motivate and uplift today's youth. It's a beautiful foundation I started three years ago and I'm really proud of it so I know it will continue to grow. MBS: Do you have any hot spots you love to visit while you're in Miami? Trina: In Miami, I love to have fun! I love going to the spa: The Standard, The Mandarin Oriental and the W South Beach. Oh, I also love to hit the beach! MBS: Do you have any upcoming projects you'd like to share with fans? Trina: I'm excited about everything that's happening in 2011. I'm excited about my album [Amazin']; my upcoming television show [a new reality show on VH1 called The Baddest Chick]; a movie I've been working on and my fashion line. Above: Jewel Evolve, Tiffany Stanley and Rockstar Diva [better known as The Pretty Hustlaz] attended the toy drive at Club Play. 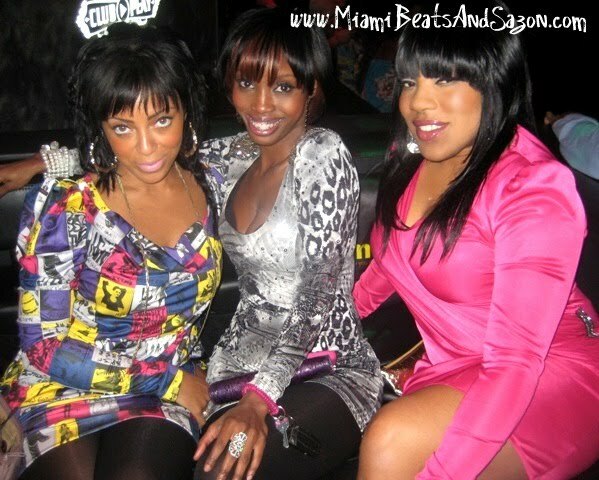 Above: Shine, Rosy [from Accidental Sexiness] and Felisha Monet [host on 99 Jamz Radio Station]. 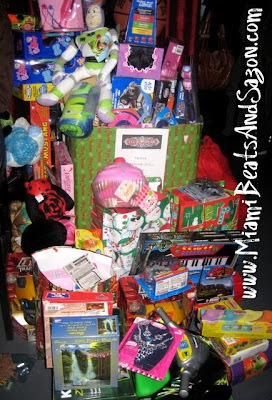 I'd like to send a big thank you to Trina for being "The Baddest Chick" and showing some love to Miami Beats and Sazon!!! 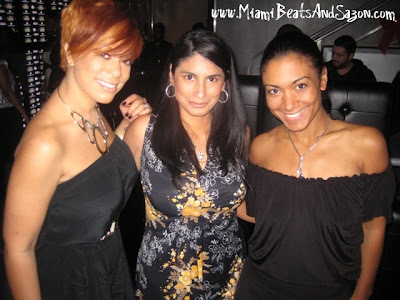 For more information on Trina, check out this amazing article from the Miami New Times. Now that you've read my blog post....I know you want to jam to Trina's "Million Dollar Girl" song featuring Diddy and Keri Hilson. If you want to see the Diamond Princess while she's still in Miami, join her special birthday bash at LIV Nightclub tonight!! !